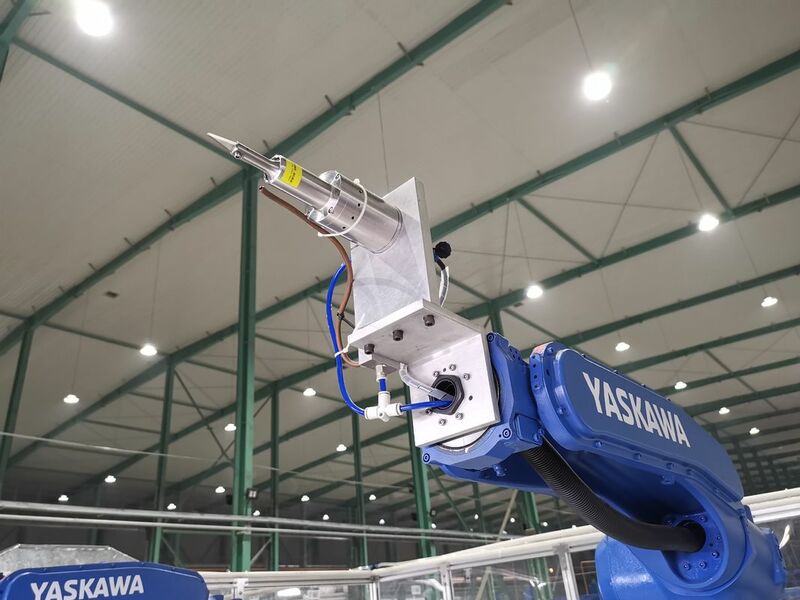 Ultrasonic Work Cells are Pre-Engineered Systems designed by Yaskawa for ultrasonic cutting, trimming and deburring applications. They are available with one and two robots, as well as options for ultrsonic knives and hybrid trimmer-routers. This Ultrasonic Cutter is designed compact and lightweight with an easy hand grip to reduce fatigue allowing for long continuous operation. This ideal NSK handpiece offers excellent maneuverability with no vibration to the hand ensuring an accurate and sharp cutting finish. The controller automatically adjusts the output power depending on the load so there is no need to make any adjustments on the controller during the working process. A constant frequency provides steady cutting results. From simple work to fine cutting and complicated shapes, this Ultrasonic cutting Knife performs effortlessly and beautifully. The blades used can be configured in high frequency vibration for an easier cut. This cutting process is fast, clean, robust and with low running costs. The robotic cells are based on polyarticulated robots using a high frequency generator, or a simple blade. 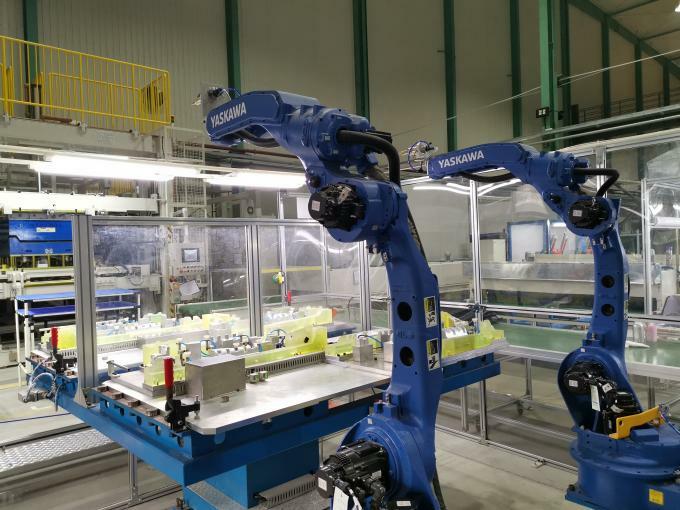 Machines with one or several robots (STAUBLI, ABB…) according to the production volumes requested (can be used non-stop in 3 shifts). The integration of ultrasound blades on robots enables to cut many materials, such as 'dry' composites (carbon fiber fabrics for example), or prepregs.